/ Bees vs Wasps vs Hornets vs Yellow Jackets: What’s the Difference, Exactly? 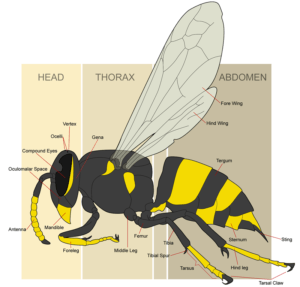 Bees, wasps, hornets, yellow jackets – what’s the difference? People confuse bees for yellow jackets, and hornets for wasps. 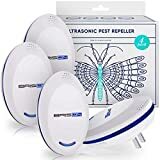 And because most of us like to keep our distance from these buzzing, stinging bugs, we rarely get close enough to tell the difference between these four flying insects. 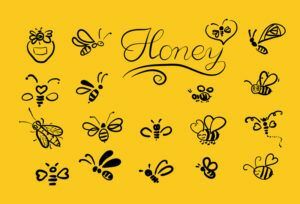 The European honey bee is the most well-known species of the bee, and is famous for its production of beeswax and honey. There are around 20,000 species of bees, and these insects are found in every part of the world except Antarctica. If a habitat has flowering plants, you can bet there are bees nearby. Bees can vary greatly in size, from just a few millimeters long to 39 mm with the largest leafcutter bee species: Megachile pluto. Sweat bees are the most common type of bee in the Northern Hemisphere, but these bees are so small, they are often mistaken for flies. At first glance, it’s hard to tell the difference between a bee and wasp, although honey bees have a distinctly darker yellow tone. These two insects are part of the same order, kingdom, class, suborder and phylum. Bees are non-aggressive, while wasps are aggressive and will sting multiple times. Bees pollinate plants, and wasps do not. Bees have a distinct appearance, although it’s harder for humans to see these details because these creatures are so small. Unlike wasps and hornets, bees have plume-like bristles on their forelimbs, which are used for grooming. They have two compound eyes, which cover most of their head. And between these eyes are three simple eyes that give the bee light intensity information. Male antennae have 13 segments, while female antennae have 12. A bee’s mouth is adapted for both sucking and chewing, with long proboscis and a pair of mandibles. Some bee species are highly social, while others are solitary. Honey bees are the most famous of social bees. This special species produces honey, and uses it as a food source to survive the winter. Honey bee colony members also huddle together to stay warm when the weather gets cold. Some bees create nests in the ground, while others build nests in trees, homes and underneath roof eaves. 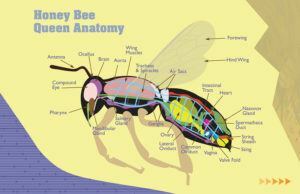 Aside from honey and beeswax, bees are most famous for their stings. The degree of pain caused by the sting varies greatly from one species to another. The honey bee and the bumblebee are known for having painful stings, while the sweat bee is known for having a very mild sting. The wasp is a part of the Hymenoptera order and the Apocrita suborder. It’s neither a bee, nor an ant, although it is often confused with certain species of bees. Wasps have little or no hair, and typically have yellow and black bodies. The first fossil record we have of the wasp dates back to the Jurassic period. The oldest known fig wasp fossil was discovered in the Isle of Wight, and dates back 34 million years. The fossilized wasp looks nearly identical to the modern wasp, which suggests that the species has remained virtually unchanged. Other newly-discovered wasp fossil dates back 260-270 million years. Like bees, wasps are found in nearly every part of the world aside from the polar regions. 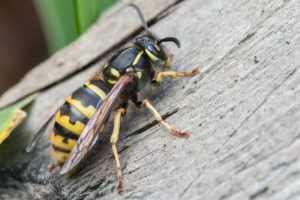 Wasps include both yellow jackets and hornets. The largest known species of social wasps is the Asian giant hornet, which can be as large as two inches in length. One of the largest solitary wasp species is Indonesia’s giant scoliid, known as the Megascolia procer. These wasps boast an impressive 11.5cm wingspan. The tarantula hawk wasp is similar to the Asian giant hornet, and can overpower a spider that’s several times its size. The sting of this insect is excruciatingly painful to humans. Wasps may not pollinate flowers, but they do serve an ecological role. Many species are predators, and most solitary wasps are parasitoidal, which means they raise their young by laying eggs either on or in other insects. The only reasons wasps aren’t considered a parasite is because the larvae eventually eat their hosts. Solitary wasps are known to parasitize nearly every type of pest insect, so they can be valuable for biological pest control in horticulture. Other wasps are selfish in nature. Cuckoo wasps, for example, are considered kleptoparasites. 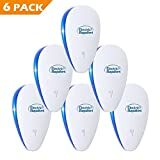 They lay their eggs in the nests of other wasps. There are around 75,000 recognized species of wasps around the world. Yellow jackets are confused with bees because they have a very similar appearance. With a black and yellow body, it’s difficult to tell the difference between the two at first glance. Yellow jackets are a type of predatory wasp that are part of the genera Dolichovespula and Vespula. Most are black and yellow, but some, like the bald-faced hornet, are black and white. Yellow Jackets use a side-to-side flight pattern prior to landing, and all females have stingers. These wasps prey on pest insects. Worker yellow jackets are 0.5” in length on average, and have alternating bands on their abdomens. Queens are larger – about 0.75” in length. Yellow jacket workers are often confused with honey bees, but these insects have little hair and do not carry pollen. 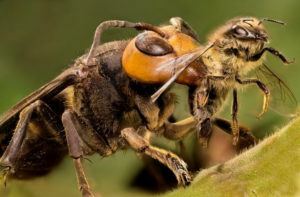 Like bees, wasps have both proboscis for sucking and mandibles for chewing. Yellow jackets have stingers with tiny barbs, and they can sting multiple times. The venom is only dangerous to humans who are allergic to the substance and are stung numerous times. 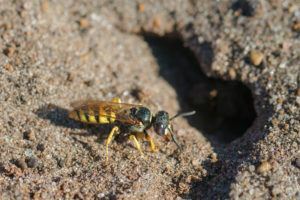 The yellow jacket wasp prefers to build its nest in shrubs or other protected places, like man-made structures, tree stumps, and mouse burrows. Nests are built from wood fibers that they chew into pulp. Yellow jackets are social wasps. They hunt together, and live in colonies with males, queens and workers. Only inseminated queens overwinter. The rest of the colony is annual. Queens remain in the nest until they die in the fall, and will continue laying eggs throughout the season. The yellow jacket’s diet consists mainly of carbohydrates and sugars, such flower nectar, fruits and tree sap. Hornets are a part of the genera Provespa and Vespa. They closely resemble the yellow jacket wasp, and are the largest member of eusocial wasps. Some hornet species can grow to be 2.2” long. There are 22 recognized species of Vespa and just three recognized species of Provesba. These three species are unique among hornets, as they are nocturnal. Most hornets are found in the tropics of Asia, but the European hornet can be found in Europe, North America, Russia, and Northeast Asia. 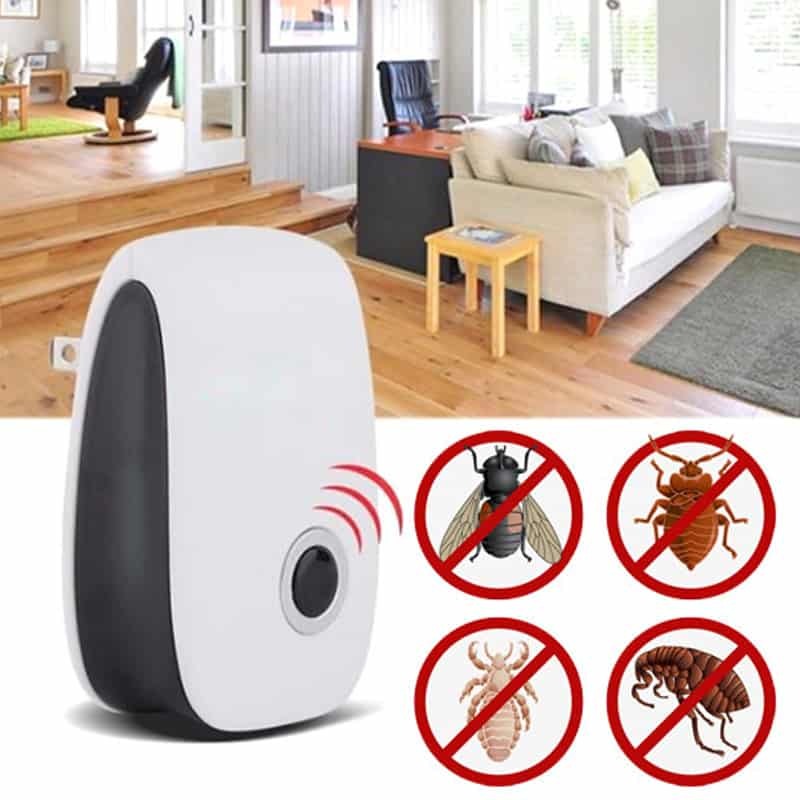 Hornets are considered pests, and are aggressive in defending their nests when threatened. As far as diet is concerned, hornets eat sugar-rich plants and also thrive on nectar. 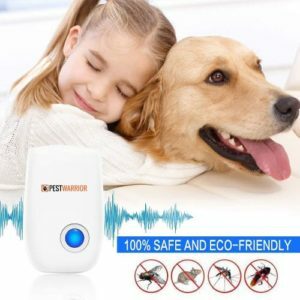 Adults may also attack insects, and kill them with their stings and jaws. 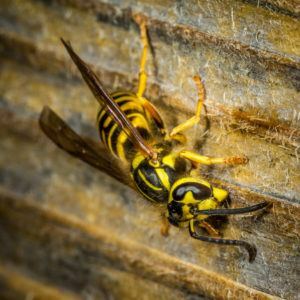 Because of their large size and powerful venom, hornets can kill larger insects, including locusts, honey bees, mantises and even grasshoppers with ease. A hornet’s sting is more dangerous to humans than bees and wasps. Its sting is painful, and the venom contains a higher concentration of acetylcholine. Hornets can also sting repeatedly without dying because their stingers are not barbed and cannot be pulled out of their bodies. Some hornets deliver a typical insect sting, but some species are among the most venomous in the world. The Asian giant hornet, the largest of hornets, is the most venomous known species. These bugs are believed to cause 30-50 deaths in Japan each year. Single stings from the European hornet is not believed to be dangerous, unless the victim is allergic to the venom. People who are allergic to wasps will also be allergic to hornets. Hornets also release attack pheromones that tell other members of the colony to attack, which can be very dangerous to humans and animals. When hornets are killed near a nest, they may also release pheromones that cause other hornets to start attacking. 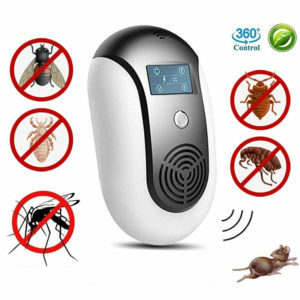 Any materials that come in contact with the pheromone can trigger an attack.